A 45 year old man received a life threatening stab wound Saturday evening 30-June. 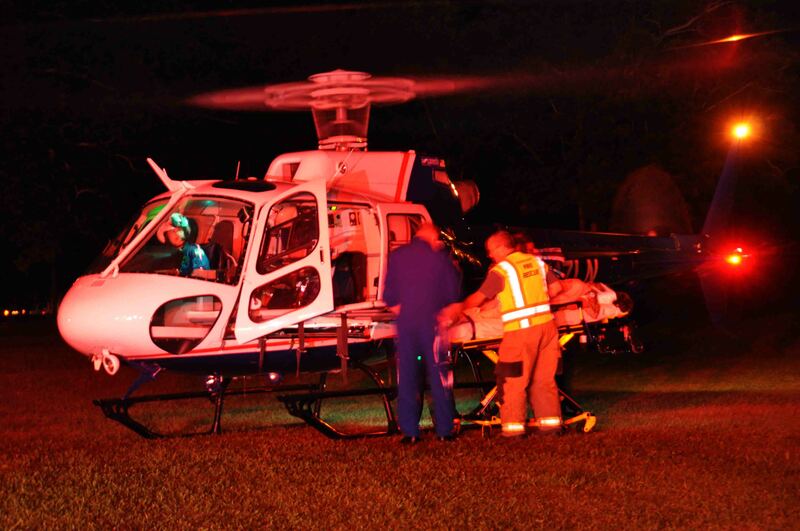 The incident was reported at a residence in the 15200 block of Lowcountry Highway at 22:31. Sheriff’s Deputies cleared the scene, arresting an adult male. Firefighter-Paramedics found the patient with a single stab wound to the upper left chest. Click here for additional information. A two car accident at 776 Bells Highway sent one man to the hospital. The accident occurred Friday at 11:57 when one vehicle pulled into the path of a west bound Chevrolet Envoy. The car received several inches of intrusion. The driver suffered multiple complaints and what appeared to be non-life threatening traumatic injuries. Click here for additional information. Colleton County received a request for assistance from Dorchester County with a large commercial building fire at 643 Judge Street in Harleyville at 05:48 Monday morning 25-June. The approximately 100x200, two story tall metal building was used to store alternative fuels for the furnaces at a concrete plant. The alternative fuels consisted of shredded tires, plastics and paper. Click here for additional information. 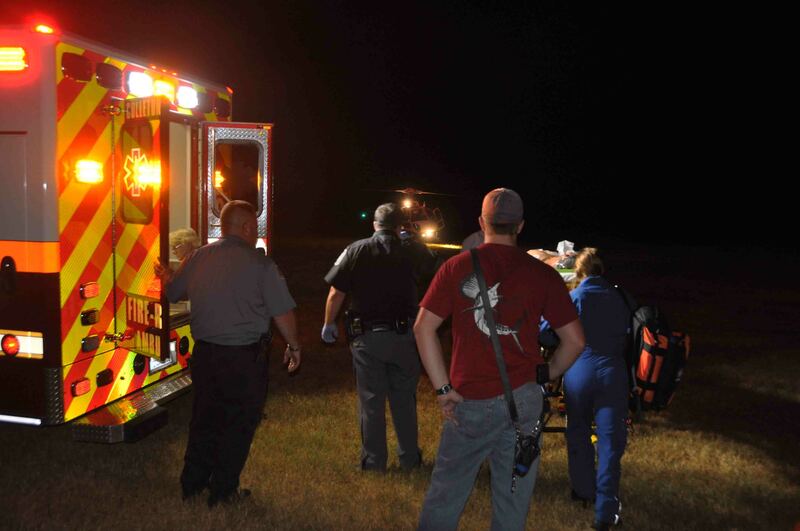 A high speed single car MVC sent two people to the hospital Saturday evening 23-June. The incident was reported at 20:48, when a State Trooper witnessed the vehicle leave the roadway and strike a wooden power pole in the 20000 block of Lowcountry Highway (US Highway 21) near Merrill Road. The car severed the pole into several pieces before coming to rest near the wood line. Click here for more information. Firefighter Hallie Young, assigned to Station # 9 in Cottageville, completed the eight week Recruit School at the SC Fire Academy in Columbia Friday 22-June. 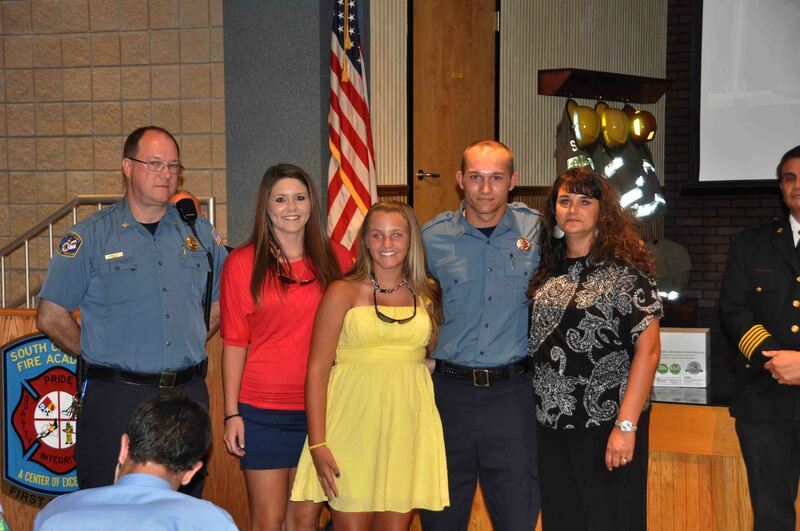 He graduated with 21 other firefighters from around the state. Each candidate completed an intense training program designed to bring them through Medical First Responder, HazMat Operations, Flammable Liquids....click here for more information. At 15:11 a two car, high speed MVC occurred in the 3600 block of Sidneys Road near Danville Lane resulted in two drivers being trapped. A small compact car and a full sized Ford Pickup truck pulling a trailer collided head-on causing heavy damage to both vehicles. Both drivers suffered multiple traumatic injuries. An 18 year old passenger in the pickup truck suffered only minor injuries. Click here for more information. A mid-afternoon, single car MVC sent two women to the hospital Monday afternoon 18-June. At 12:46, a 2003 Dodge Neon failed to negotiate a curve at the corner of Orange and State Streets, resulting in the small car running head-on into several oak trees. Both occupants suffered multiple traumatic injuries. 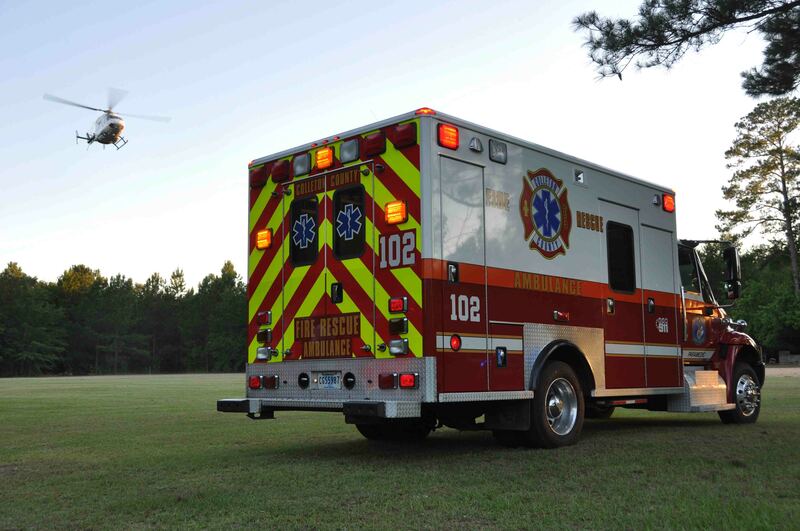 Medic 19 initially responded to the report of a minor accident...click here for additional information. 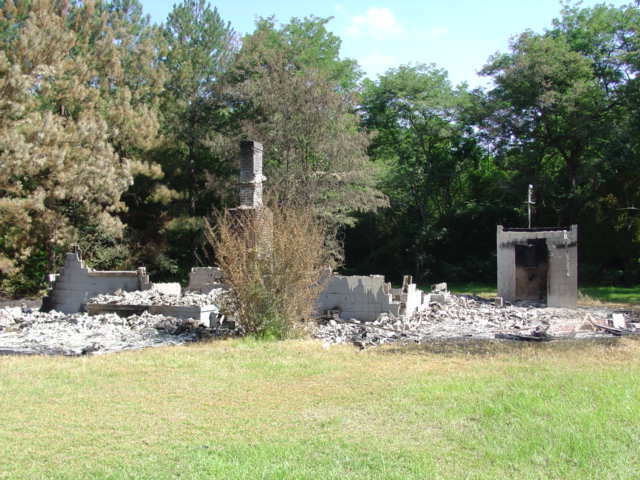 Fire-Rescue was notified of a home that burned at 801 Gar Road near the Town of Smoaks Friday afternoon 15-June at 13:59. The home evidently burned sometime during the previous night and was not found until the following afternoon. Gar Road is a lightly traveled road located in a rural area. Engine 7 and Engine 18 arrived to find the home completely destroyed. All of the fire had burned out and only some smoldering coals remained. Click here for additional information. 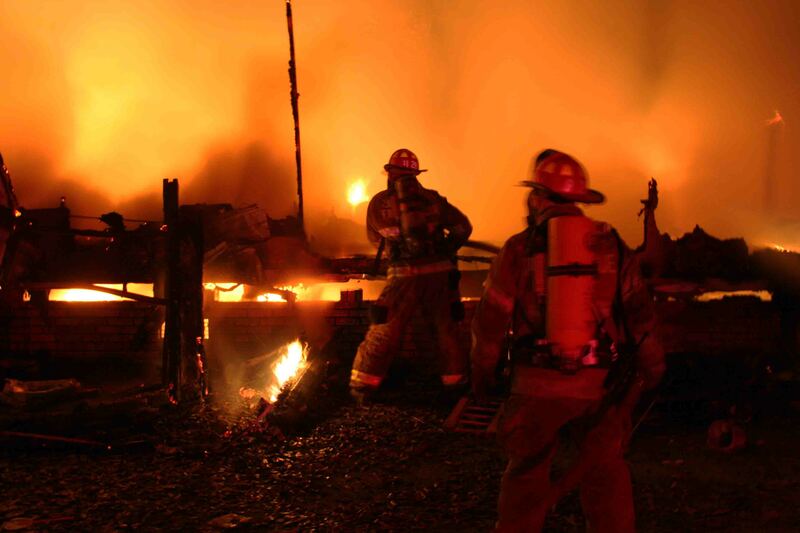 An early morning fire destroyed a doublewide mobile home at 119 Camp Buddy Road, Friday 15-June at 02:17. 9-1-1 callers reported flames were visible throughout the building. Engine 9 and Medic 9 arrived 8 minutes later to find the structure fully involved, with the roof burned away and most of the walls and floor already collapsed. Engine 9 deployed two 1-3/4 handlines to extinguish the remaining fire. Click here for more information. A shooting incident sent one local man to the hospital Tuesday afternoon 12-June at 16:56. 9-1-1 operators received several reports of a shooting at 189 Beach Road, Druid Hills Apartments with one person being shot. Walterboro Public Safety Officers and Sheriff’s Deputies were on the scene within minutes, finding the parking area littered with shell casings. 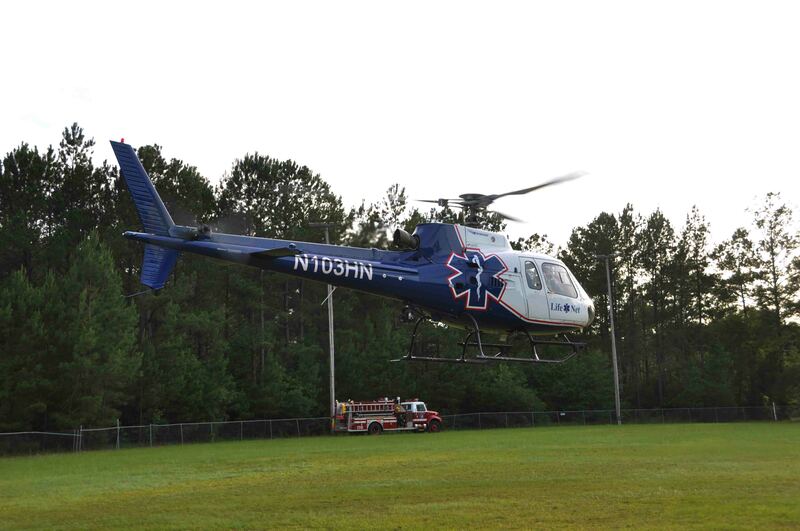 No patient was located in the immediate area. Click here for more information. 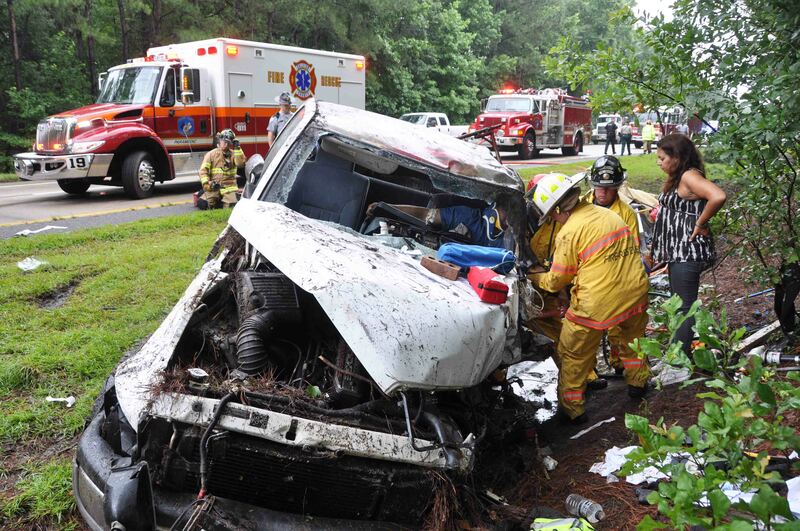 A high speed MVC on I-95 trapped a West Columbia man Tuesday morning 12-June at 10:13. The accident occurred on I-95 near the 40 mile marker southbound at the Hampton County line during a heavy thunderstorm. Visibility was extremely limited delaying responding units. The full sized Dodge Pick-up Truck left the roadway at a high rate of speed, striking several trees in the median...click here for more information. 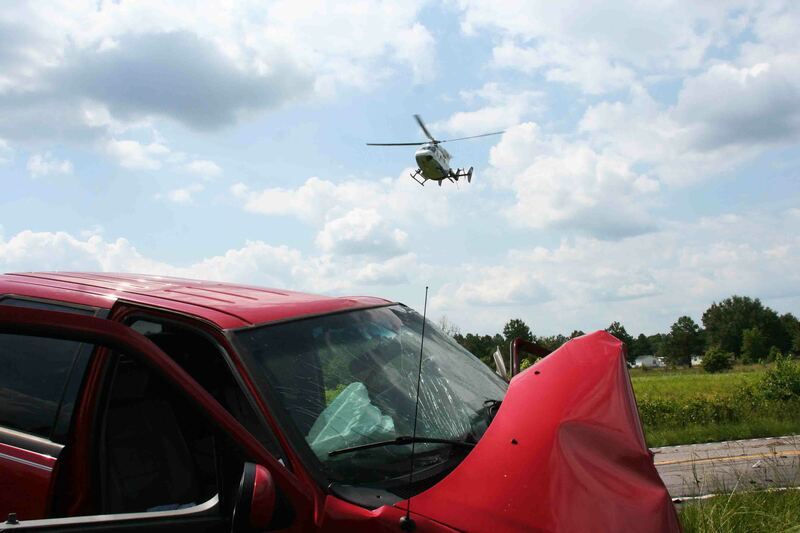 A high speed two car MVC sent two women to the hospital Monday afternoon 11-June at 12:12. 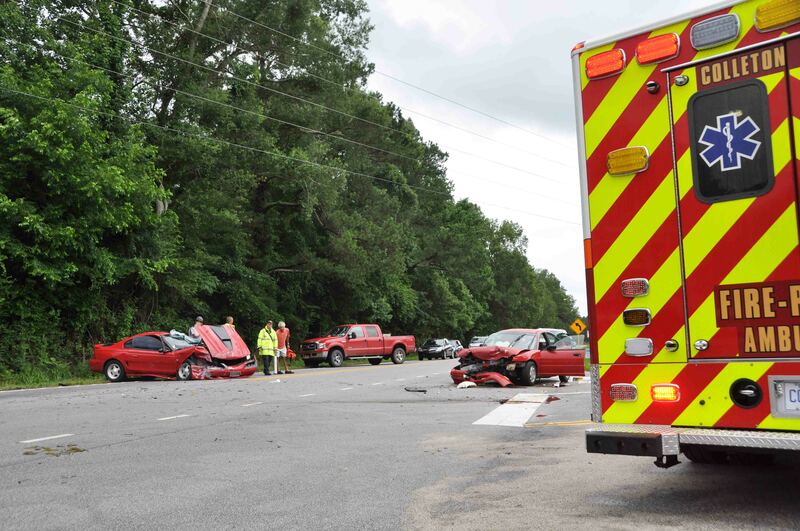 The two small cars collided head-on at the intersection of Charleston Highway (SC Hwy 64) and Featherbed Road. The accident blocked the entire busy highway, causing traffic to back up for over an hour. Engine 12, stationed ½ mile from the intersection was on the scene within a minute. Click here for more information. 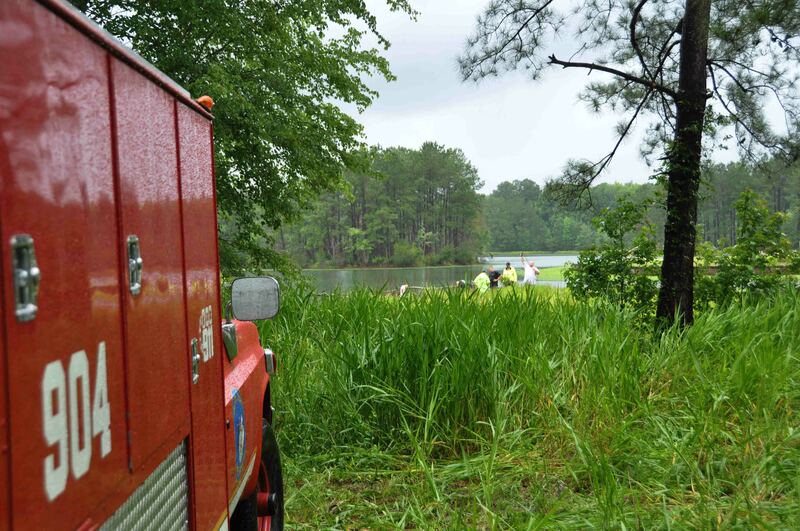 Fire-Rescue units were sent to 21932 Augusta Highway to the Horseshoe Lake Farm Sunday afternoon 10-June at 12:21 for a drowning incident. The location is in rural northeastern Colleton County. The incident was originally dispatched as a child missing in the water for ten minutes, however it turned out to be the child’s father who drown. Click here for additional information. A 36 year old Lodge man received first and second degree burns on the lower half of his body after a hot liquid accidently fell on him at his home. 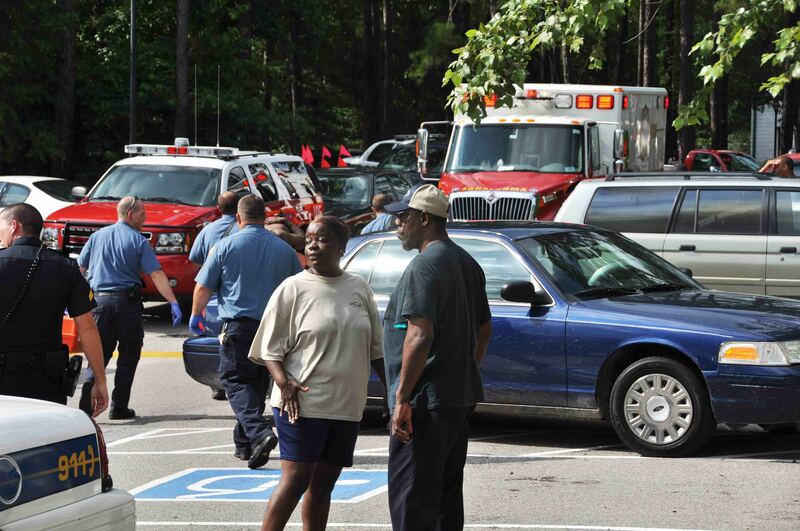 The incident occurred Saturday afternoon 09-June at 18:23. The man was treated at the scene by Medic 18’s crew and Battalion 1 which included IVs and pain management. Click here for additional information. 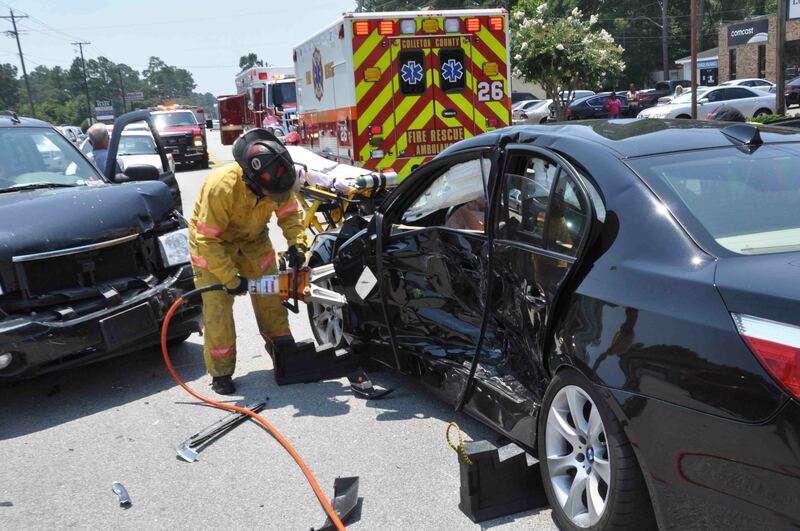 A high speed single car MVC has sent two children to the Trauma Center at MUSC. The 1998 Honda was northbound on Round O Road when the driver stated she swerved to avoid a deer. 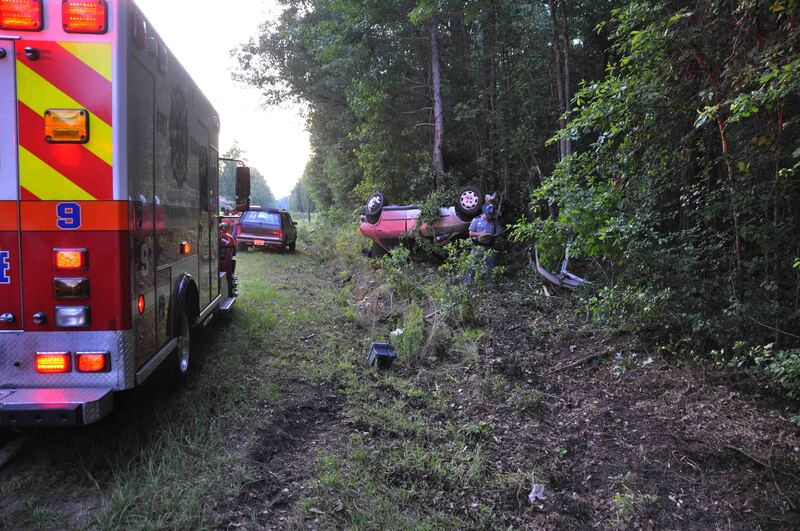 The car lost control, entered the ditch, flipped over and struck a tree in the passenger’s door. There was over 3 feet of intrusion into the car, with the tree completely displacing the passenger’s seat...click here for more info. 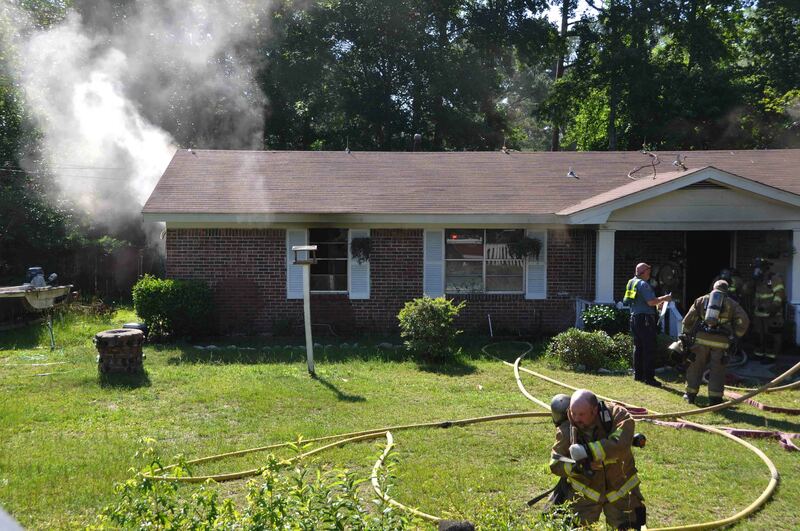 An electrical fire originating from a over loaded power strip caused moderate damage to a home at 201 Grayson Street in the Green Park Subdivision. Fire-Rescue was notified of the fire at 09:20 Sunday morning 03-June. Car 118 arrived to find heavy smoke coming from the single story brick veneer structure. The homeowner was using a garden hose through a bedroom window...click here for more info. A 43 year old woman received multiple gunshot wounds Sunday morning 3-June. The incident was reported at 05:27 at 117 Taylor Street, Lot 9 Wiggins Mobile Home Park. According to witnesses, someone fired multiple rounds into the residence from the street. 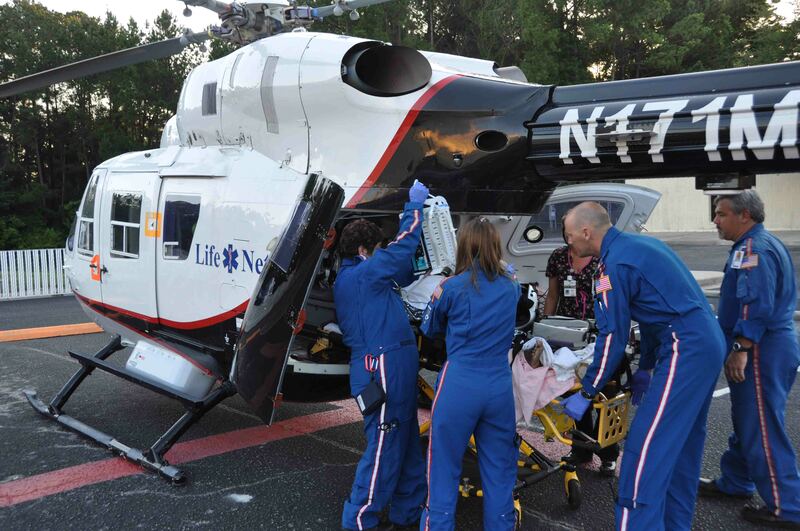 The woman, who was asleep inside, was hit four times, receiving one critical injury to the chest. Click here for additional information. 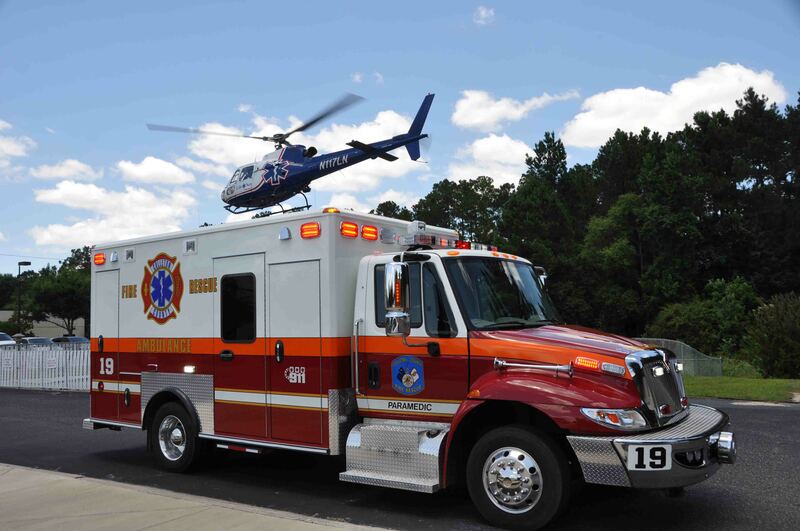 A 19 year old man was critically injured in a high speed motorcycle accident that occurred Saturday afternoon 2-June in the 200 block of Saxby Hill Road in the Ritter Community. The motorcycle was west bound, when it crossed over into the east bound ditch ejecting the man into the woods on the side of the road. He landed on an asphalt driveway. He was not wearing a helmet. Click here for additional information.